It happens now and again. You bomb one straight down the middle with no curvature to the left or right and think “Why can’t I do that every time?”. The answer of how to hit a golf ball straight is actually very simple. You need to hit the ball with both your swing path and clubface square to the intended target. Zero out both those figures and your golf ball will fly straight as a die. And yes, all things being equal a straight ball will go further than a ball that curves. The pros can’t hit the golf ball straight every time and they hit THOUSANDS of balls a week. So they don’t try to. Because zeroing out your swing path and club face is damn near impossible. What do the pros do instead? They purposely shape the ball from right to left (a draw), or from left to right (a fade). And that’s what you should do too. First things first, we need to understand why the golf ball curves a certain way. Or in other words, why it doesn’t go straight. A bit confusing, so let’s expand a bit. The starting line of the shot is primarily determined by where the clubface is pointing at impact. The ball will then curve away from the path (unless it’s zeroed out). You want your swing to be moving in-to-out at the point of impact and the clubface pointing slightly left of the direction the club is heading. 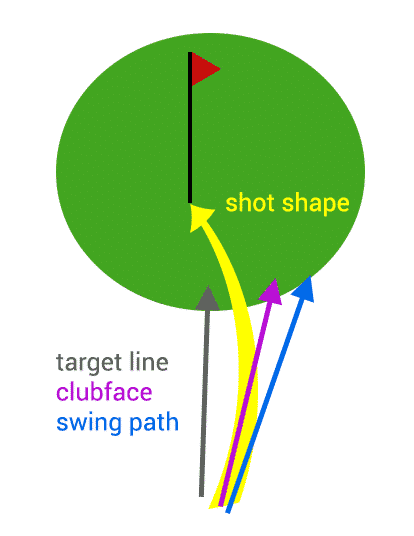 What are the most desirable shot shapes? 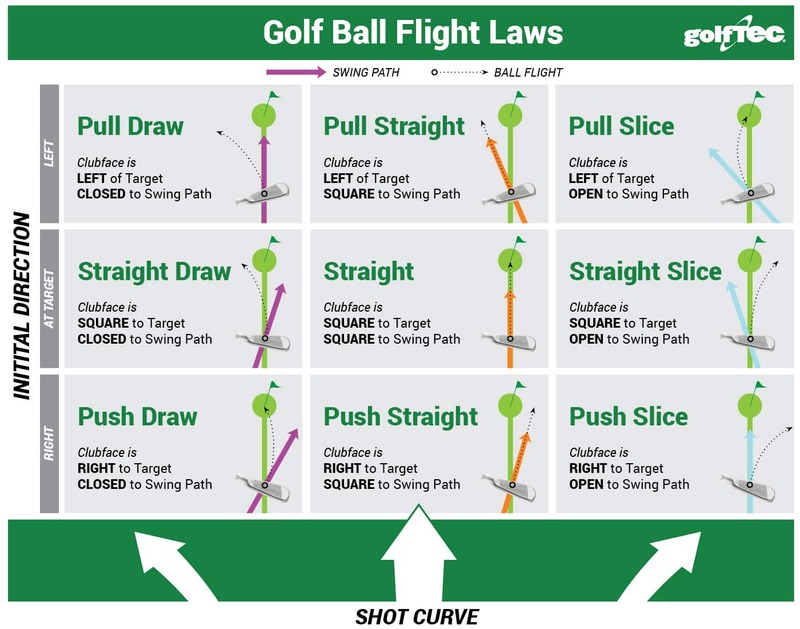 In an ideal world you want to hit either a straight ball (clubface and path direct at target), a pull slice (path to the left, clubface a bit less left than the path), or a push draw (path to the right, clubface a bit less right than the path). The benefits of hitting the ball straight are pretty obvious. But it’s unlikely you’ll be able to do it consistently. 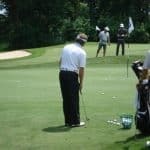 With a pull slice (which is a fade), you can aim to the left edge of the fairway or green and curve it back to the target, and vice versa for a push draw (aim to the right edge). If you get a gentle fade you’re curving back to the middle (ideal). If it flies straight, you’re going to be left edge. And if it slices, you’ll probably end up right side but playable. You’re managing your miss. And golf is a game of misses. 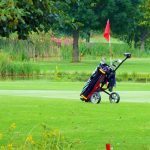 What are the least desirable shot shapes? Pull draws and push slices are the least desirable shot shapes. 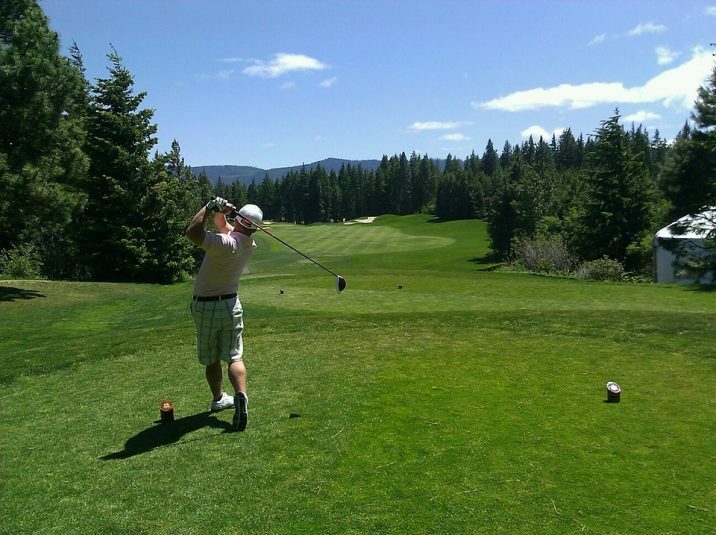 With a pull draw, your ball will start left of the target and curve further left. 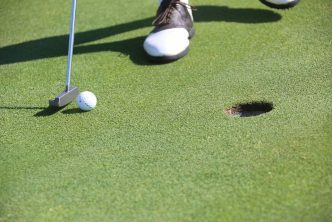 With a push slice, your ball starts right and goes further right. Both these shapes are going to get you into trouble. But the fix is easy. If you know you’re going to curve the ball right to left 9 times out of 10, then aim right. The chances are you’ll have a shot shape that comes naturally to you. And whether that’s a draw (curving right to left) or a fade (curving left to right) doesn’t really matter. If you know your shape, you can manage your misses. 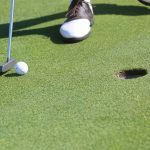 You can play good golf and score low with either shape. What about the double cross? The double cross is a sickener. And it will happen occasionally, even for the pros. That’s when you set up for a draw or a fade and the ball curves the other way (starts right, goes further right or vice versa). And really the only way to get rid of it (or minimise it) is to practice. Which is why it’s so important to commit to a shape. To hit a golf ball straight you need your clubface and path to be pointing at the target at the point of impact. But that’s the hardest shot to hit in golf. So my advice is to figure out which shape comes naturally to you (draw or fade), then setup to manage your miss (aim right edge if you’re a drawer, aim left edge if you’re a fader). That’s what the pros do. 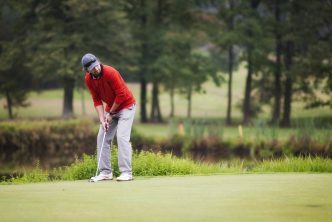 Want more tips for sharpening up your game in 2019? 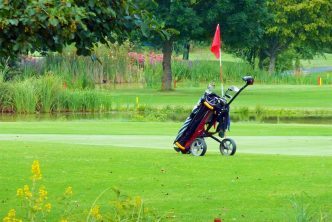 Check out our golf section.